Apples massive growth can be attributed to the company’s strong brand loyalty, continued innovated thinking, simplicity in design and message, and top customer service. Their brand seems to go beyond their products, at least with many users of Apple products. The response to Steve Jobs’ death showed just how deeply so many people connect with Apple on a more emotional level. There have been a few hiccups with the company here of late (staff firings, product mishaps, poor commercials, court cases) but product sales are still high. 2013 will be a good indicator of how strong of a connect Apple really has with it’s brand loyal customers. Thanks for reading. 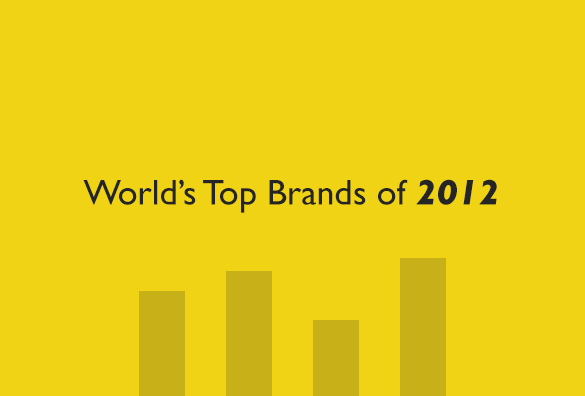 You may also like: “What Do World’s Top Brand’s Logos Have In Common” which shows a breakdown of last years best brands and what their logos have in common. As always, comments and conversation starters are always welcome. What I like about Apple is that they do listen to their consumers. A good example is the IPad Mini. Apple really doesn’t compete with the 7″ tablet industry but due to popular demand, they did to satisfy their loyal consumers. Thanks for the comment Martin. I just checked out your website; pretty impressive list of accomplishments you’ve had. Your videos on youtube are quite interesting as well. I agree, Apple is pretty good about listening to their customers. One exception that I happen to agree with: http://www.informationweek.com/hardware/apple-macintosh/apple-ignores-loyal-mac-pro-customers/240001356.